Good morning all! 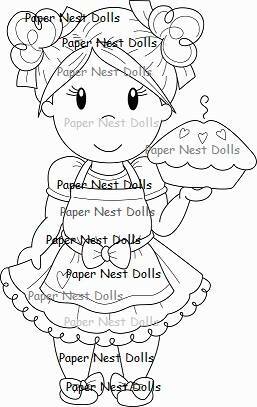 Have you seen the new Papernest Dolls Tootsies line?!?! I am in LOVE!! Christine has really inspired me with this new line. They are chubby and oh so cute! 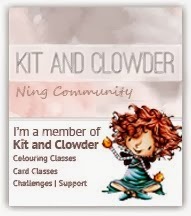 Here is the card that I made with Tia with Donut Tootsie. I wanted to go with a darker skin shade than what I normally do. I used Copic markers E25, E33, E31 and E00. Oh and R20 for the cheeks. I am happy with the way it turned out. For her hair I used 100, E49, E29, E25, E33 and E31. For her dress, I used B01, B00, B0000, R83, R81, and RV00. The blue combo is my favorite light blue combo. I love how it looks against Tia's dark skin. Here are the other Tootsies that are in the shop. Their names are Lulu and Jack. I hope you are in love with them too! Thank you so much for stopping by today! Have a craftastic day!